When I set up a dinner date with a dear friend this week, I learned something new about her: she’s allergic to almost everything under the sun. Thus, whatever I cooked needed to be gluten-free, soy-free, and corn-free. I had no idea until yesterday that almost everything in my pantry includes some form of gluten, soy, or corn! 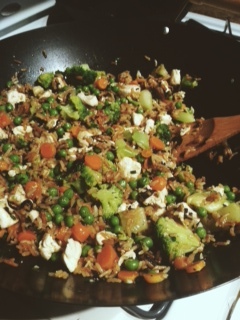 I began hunting two weeks ago for a flavorful Fried Rice (with no soy), and do you know what? I found one. Just look how beautiful it is in the skillet! I should preface this recipe by saying that it does indeed call for soy sauce. However, with a soy-free friend, it’s easy to leave it out of the skillet and just add it to my own bowl. 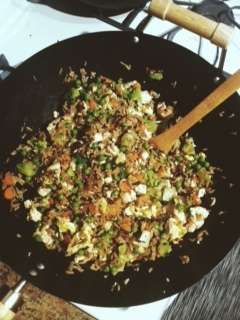 And even without the soy sauce, this Oolong Fried Rice will not disappoint your taste buds! As the recipe states, I put the tea leaves in with the rice as soon as it came to a boil, then left them in with the rice to simmer on low for 10-15 min. 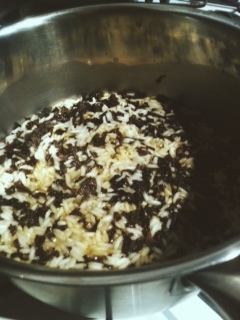 Seeing the Formosa Oolong infuse the rice with color was my favorite part of the cooking process! The final product really is stunning. Look at the green, orange, and brown! What a heart-warming dish for these chilly fall days. And my friend could not stop saying how delicious it was! The oolong flavor is subtle (especially if you add soy sauce like me), but adds a unique richness to the recipe that I love. And if you need a gluten-free, soy-free, corn-free option, this recipe is for you! It’s a small cost to pay for true friendship. Is it Black Tea yet? Okay I am a tea geek! I recently had the opportunity to attend a class that allowed me to create tea. I found the experience fascinating & want to share the unique experience with you. 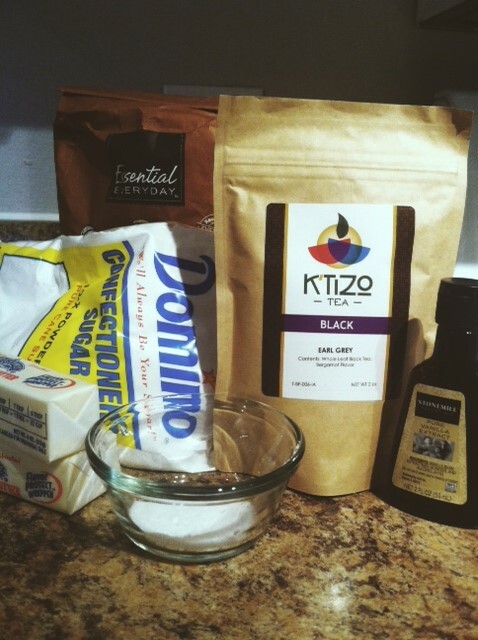 Here is a brief summary of how to create orthodox black tea. Each tea (black, green, white…) has different steps to their process, though I had the chance to walk through black, green, white and yellow. I will just discuss the orthodox black tea. Orthodox tea simply means preserving the integrity of the loose leaf tea which in turn allows for a more flavorful & nutrient rich extraction. It’s counter part is CTC, (crush, tear, curl). These leaves have been crushed, torn and curled, resulting in leaves becoming small pieces rather than loose leaves. There is a definite place for CTC but not in today’s talk. 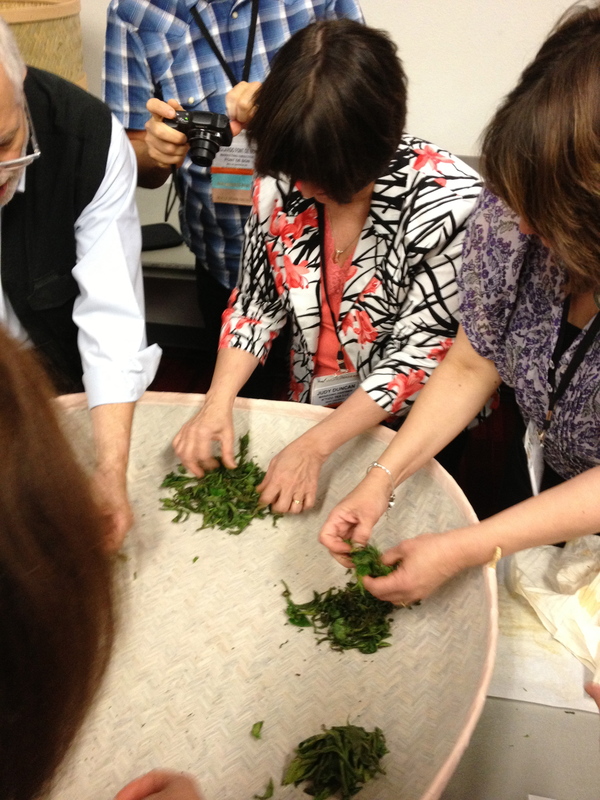 The process for black tea began with the plucking of the tea. FYI Most of the plucking done in China, Sri Lanka, Taiwan and India is done by hand. Japan largely plucks mechanically. The tea we worked with was hand-picked from Hawaii! This was one of the leaves from my cluster. The unfurled bud and 2 leaves with minimal stem demonstrates the careful worker artfully selected the best! Then comes the withering stage. In this stage the leaf looses moisture. This enables the leaf to be pliable permitting the rolling and shaping stage to proceed without breaking the leaf. Here the tea master needs to assess the level of readiness. Factors that influence will be humidity and rain fall prior to plucking… Since our leaves had been plucked 2 days before we were to shape them they were kept in a dry environment to slow the process. Waiting 2 days is not typical! 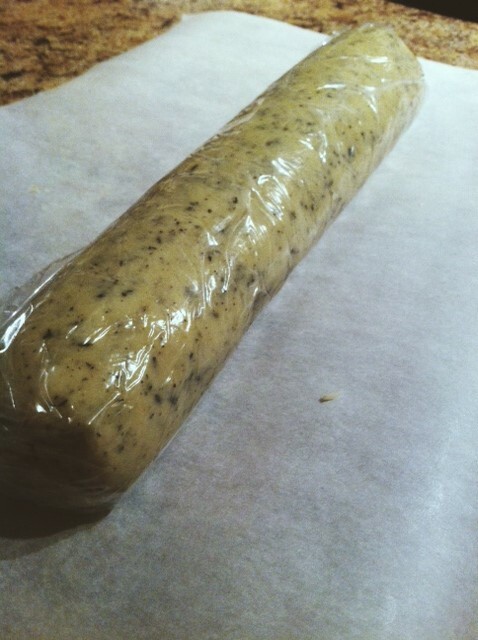 The rolling/shaping stage was challenging. It took a great deal of effort to hand-roll. This is when I began singing in my head “I’ll get by with a little help from my friends.” We all shared the responsibility and it was amazing how much we accomplished. On a tea estates there can be a combination of machine rolling which mimics our hand rolling motion and some hand rolling. Artisan white are primarily if not entirely done by hand. I was quite surprise by how much moisture was removed the cloth was quite wet by the time I finished rolling. SInce I was in class we took turns for it took a great deal of gentle but firm pressure and time. 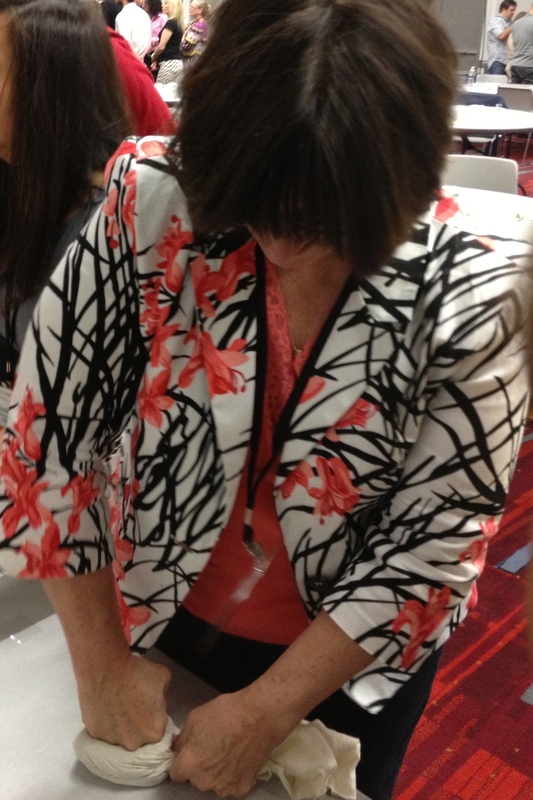 Due to the oxidation that is occurring chemical & physical changes were occurring. The oxidation process significantly contributes to the flavors in the end product. the classic characteristic of black tea. In our classroom we did not truly get to a fully oxidized stage. We had limited time and the environment varied from the natural terrior which influenced the end product. We did pretty well! This warmer heated the tea slowly. The heat came through the base to the tea in the woven basket with a mesh between the warming device and the tea. 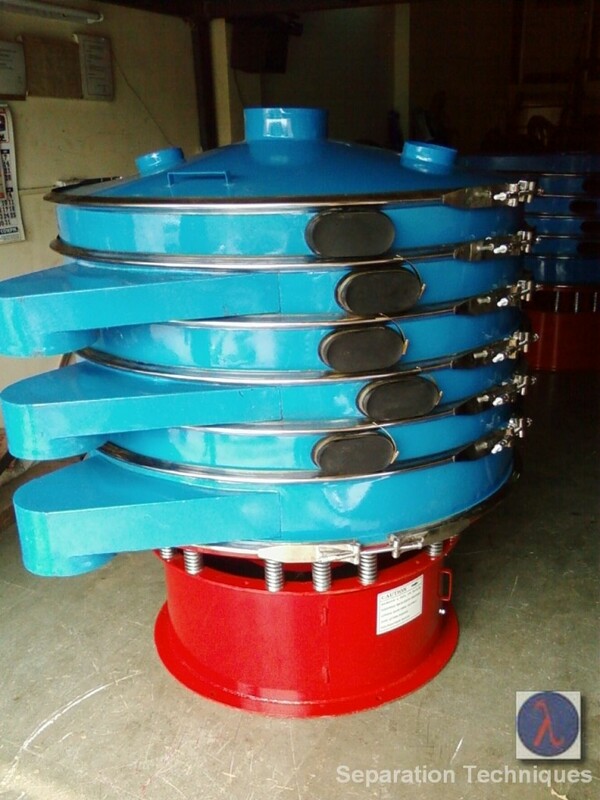 There are several different types of drying devices on tea estates for firing. 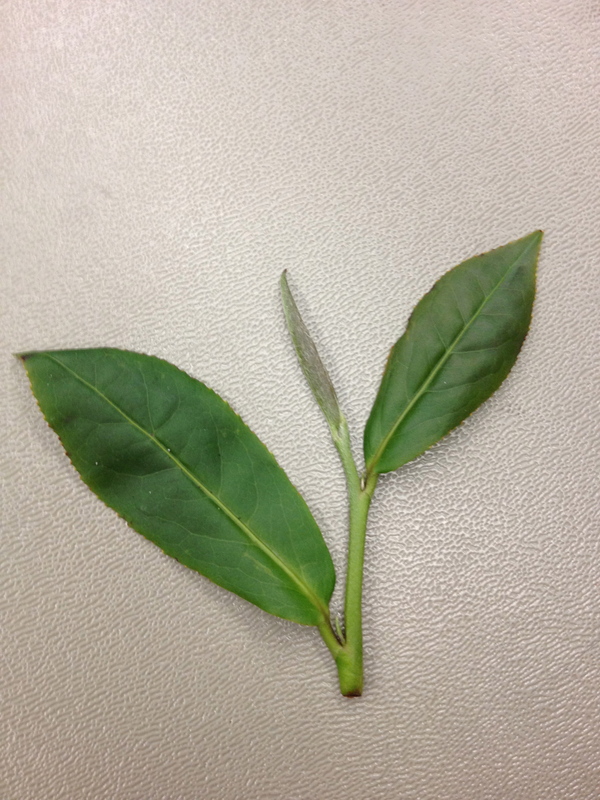 This step in black tea is done once the leaves are fully oxidize. 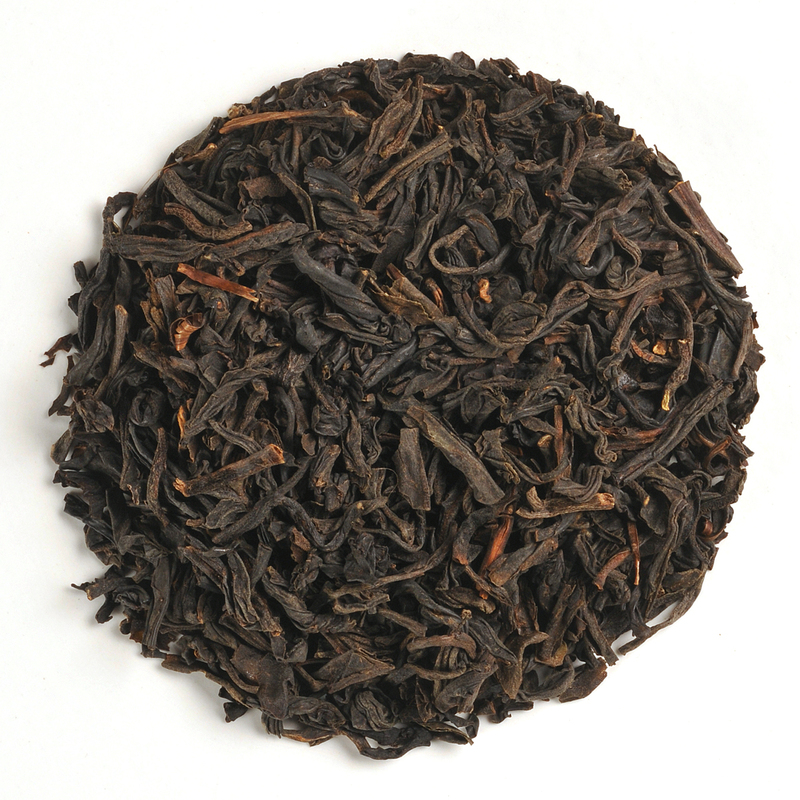 The signature statement of black tea. In our classroom we gathered around a basket of leaves and sorted by size. On a tea estate often there will be a room of skilled ‘sorters’ who will sort by size. Often a mechanical separator is used. It will have several layers with a mesh in between each layer. The mesh grid will decrease in size until the lowest one is a fine mesh. The bottom layers will be dust and fannings. These two layers are often used in traditional tea bags. The higher levels of the sorter may be hand sorted. If no mechanical sorter is used it may be done entirely by hand. This is an entire topic to be discussed at another time. But the letters you often see following a tea are a standardized grading system. Each nation’s tea growers have helped to develop a system they find meaningful and useful especially at auction. We of course did not grade, we just enjoyed the fruit of our labor on our second day of the class. See tea talk and tips and learn about the grading system in India & Sri Lanka. This is how I began! Yesterday when I bought powdered sugar and butter at the grocery store, the cashier glanced at the clouds outside and commented “It’s a great day for baking!” Indeed it was! I cannot think of many things more heartwarming on a blustery day than fresh-baked cookies and hot tea. 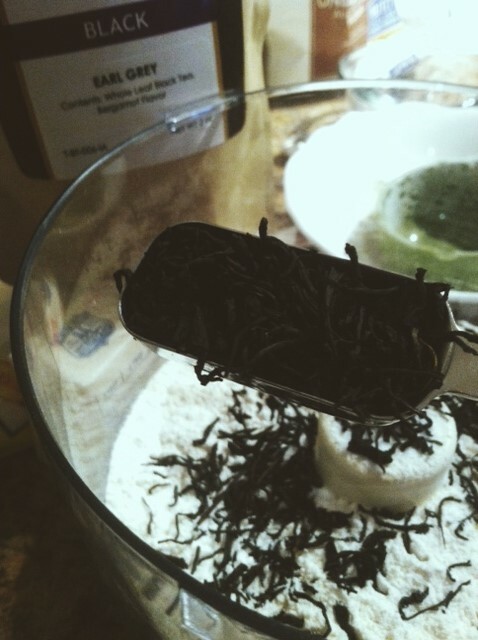 So while drinking Refresh (our Sencha, with peppermint, lemon peel, and ginger), I began to bake. With a food processor, these shortbread cookies are a breeze! What a simple way to create homemade goodies in a time crunch! Yes, directly add the tea. 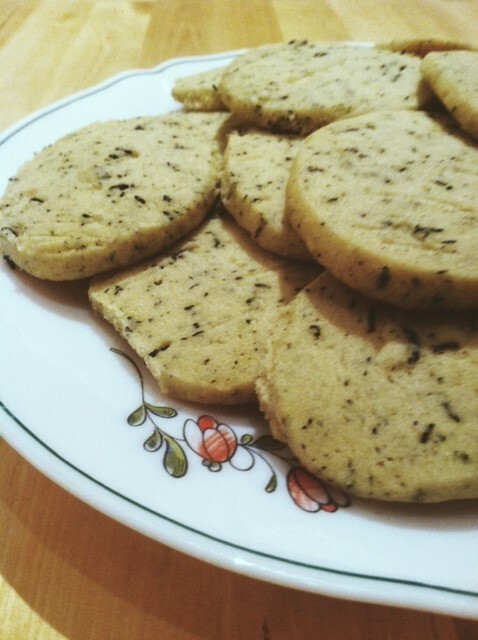 Even if you think you cannot bake, TRY EARL GREY SHORTBREAD COOKIES. We are convinced you will love them. You may even want to try Cream Earl Grey Tea or Blue Lady Grey Tea, with lavendar and blue mallow flower as an alternate tea for this quick and delicious recipe. I was delightfully surprised how well the bergamot came through the recipe. Log roll for easy shaping. Whether you need a fancy holiday dessert or just an afternoon tea treat, this elegant Earl Grey cookie will surely please your pallet. As always, we invite you to enjoy the time in the kitchen, (however short it may be for these cookies), and invite friends for tea! What a delicious way to connect with your family and friends. We love the stories that drive culture. And we love the experiences we’ve had with culture. This is one of the reasons why we love tea as much as we do. Each cup comes with a unique story. And each leaf has flavor shaped by its location in the world – the traditions, cuisine, climate, and surroundings. We also love what happens when people gather together and share their favorite teas. We believe that something mysterious and beautiful can happen when people choose to open up their lives and talk about the experiences that have shaped them into who they are today. I am thrilled to announce that we will be regularly sharing stories, experiences, lessons, and memories from all around the world. They may be our stories, or they may be from a fellow tea drinker. Our hope is that in the process, you will discover new things and remember how beautiful and special our world is through the people, traditions, and experiences you read about here. My own love for travel and culture is planted deep in my roots. While I have spent my entire life in a woodsy home in central Illinois, I have always had an itch to see the world. My parents met in the Philippines in the third grade and a great deal of my extended family spends most of their days abroad. So you could say it has always been in my blood. I took my first international trip at sixteen and it’s safe to say that I haven’t really stopped traveling since. Through my travels, I have simultaneously seen beauty and heartbreak; wealth and poverty; chaos and peace. The people I have met, the places I have seen, and the things I have had the privilege to be a part of have changed me deeply. What is terrior? Wikipedia’s definition for this French term-“Terrior is the set of special characteristics that the geography, geology and climate of a certain place, interacting with the plant’s genetics, express in agricultural products such as wine, coffee, chocolate and tea.” But I think you cannot understand terrior without also understanding the impact of the people that cultivate the terrior. I like to say to our adult children none of you grew up in the same home. I as a parent I was seasoned & shaped differently with each addition to our family, with each surrounding life circumstance and with the influence maturity brought. Each of our children were parented differently hence a different environment/terrior influencing delightfully different results. Tea as well grows differently in different environments, producing a variety of delightful flavors. The type of soil, air, level of moisture, soil drainage, amount of cloud coverage, the variety & type of surrounding agriculture, the age of the plant and the people who cultivate the estate all affect the end results. Typically a talk on terrior considers only the geography and ecology of the environment. Ktizo Talk highlights all of this plus the significant impact of the expertise of the tea producers and tea pickers. The 5 traditional countries of origin include China, India, Taiwan, Japan and Sri Lanka but many other nations (almost 50) grow tea. These nations have terrior that lends to producing the environment that tea generally requires; high altitudes, misty cloud coverage, high moisture, steep terrain that terrace for drainage and moderate temperatures, to mention a few. Altitude can vary for cultivars. The varietal camellia sinensis sinensis typically enjoys high altitude, high moisture and high cloud coverage. Camellia sinensis assamica can also enjoy a lower altitude with high moisture and produce a very different, delightful personality. The tea master or producer, first knowing the cultivar, takes the all differences of the terrior into consideration when processing. 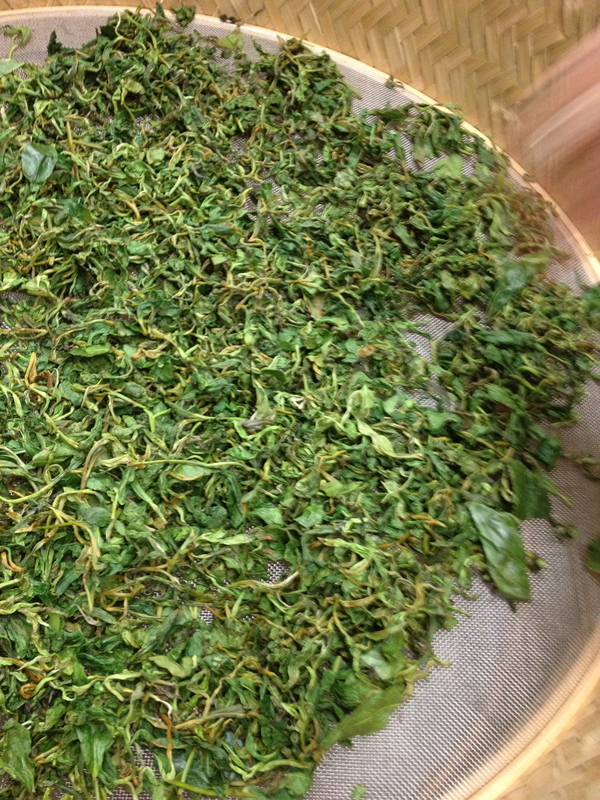 For example two teas going through the oolong process from the same estate may require a few different and needed steps in the process because the air had a higher water content that day, the cloud coverage varied on one side of the mountain longer then usual or the soil drainage was hindered. More rolling, firing or baking may be required with each harvest. The geographic and ecologic differences influence the decisions the tea master makes in the processing stage. Understanding the terrior requires expertise at each step of the process. I cannot separate the human wisdom & influence on the terrain when explaining it’s impact. 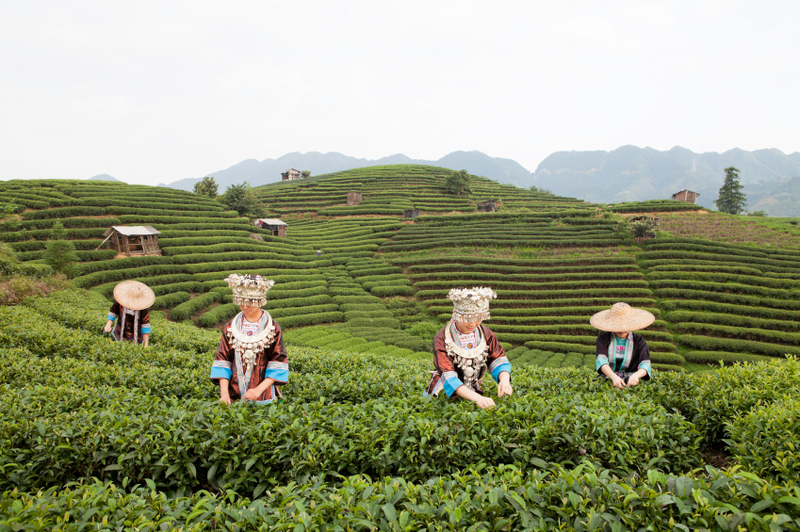 The picture we chose for the K’Tizo Tea Website is from the Yunnan province of China. This woman is from the Dong people group. The picture beautifully reveals a striking image of one of the people groups that cultivates tea with a sense of purpose and pride. When we think of terrior we often think of merely the geographic and ecologic influences but a significant influence to the terrior are the people who cultivate & nurture the land. Though my travels have been very limited into the tea and coffee nations, the little I have seen, has been of people who appreciate and value the products their land produce. I appreciate how this picture portrays and conveys dignity to the people behind the leaf. When you think of the tea terrior I trust you will expand you thoughts to think of the tender care that the many tea growers take to produce the enjoyable beverage we call ‘tea’ along with the geography and ecology of the setting. I find it very easy to say “everyone should cook in their home”, and much harder to commit to a 30-minute meal after a long day at work. I come up with so many excuses not to cook! “My kitchen is a mess”, “I don’t cook gourmet food”…the list could go on. However, the best conversations in my house always seem to occur in the kitchen! Whether we are dining at the table, sitting on the floor going through recipes, or talking about life while we wash the pile of dirty dishes, this simple fact remains: profound good happens around delicious food. I will confess to you that I leave a pile of dirty dishes quite often. Why? Because I don’t want to give up the joy of hospitality! The food that blossoms from creativity and invites others to the table really does feed the soul. We invite you to cook. Try it, get creative, and discover that tea goes beyond the cup! We invite you to invest your heart as you fuel your body; we believe they should never be separated. Think well, love well, sleep well. Start by dining well. Tea is hot! Over the last decade I, have discovered many dimensions of this fascinating beverage. It is my hope that through K’Tizo Talks many more will be awakened to the dilectable dimensions of this incredible beverage, tea. Tea also known as Trá, Té, Cha, Chai, Chay … around the world is simply a refreshing beverage that results from pouring hot water over camellia sinensis leaves. From the camellia sinensis species there are 2 varieties, camellia sinensis sinensis & camellia sinesis assamica then from these varietals come thousands of cultivars. The 5 common categories of tea are black, green, oolong, white and pu’erh, (a sixth lesser known is yellow). All are the result of different cultivars, different processing, and different terrior. Each aspect of tea I hope to expand upon through this blog. 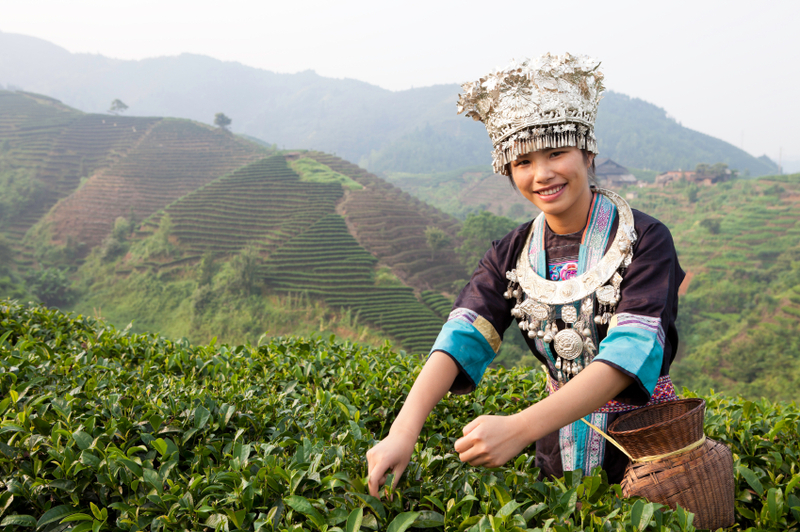 Southern China where Northern Burma & Northeast India meets is considered the origin of tea. As the story goes, over 5000 years ago Emperor Shennong was delightfully surprised when a tea leaf drifted into his cup of hot water. The refreshing beverage pleased the Emperor and the news spread through out China, and today everyone continues to discover Tea Is Hot!! Last fall, I was enlightened. Almost a year ago today, Judy Duncan offered me a delicious cup of hot Cinnamon Almond Plus, and my life hasn’t been the same since. You see, I used to think of myself as a tea drinker. 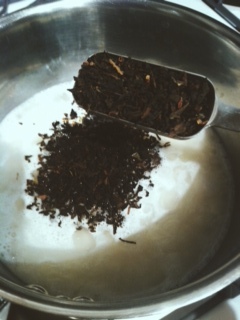 I loved chai lattes and I’d occasionally prepare a cup of hot or iced tea at home from whatever tea bags I could find. But my tea exposure was very limited, to say the least. 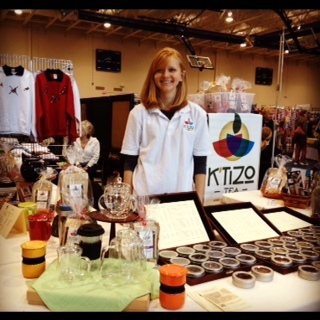 When I happened upon K’tizo, my eyes were opened to a whole new world of loose-leaf tea. I’ve spent the past year discovering all kinds of tea, tisanes, and blends from all over the world. 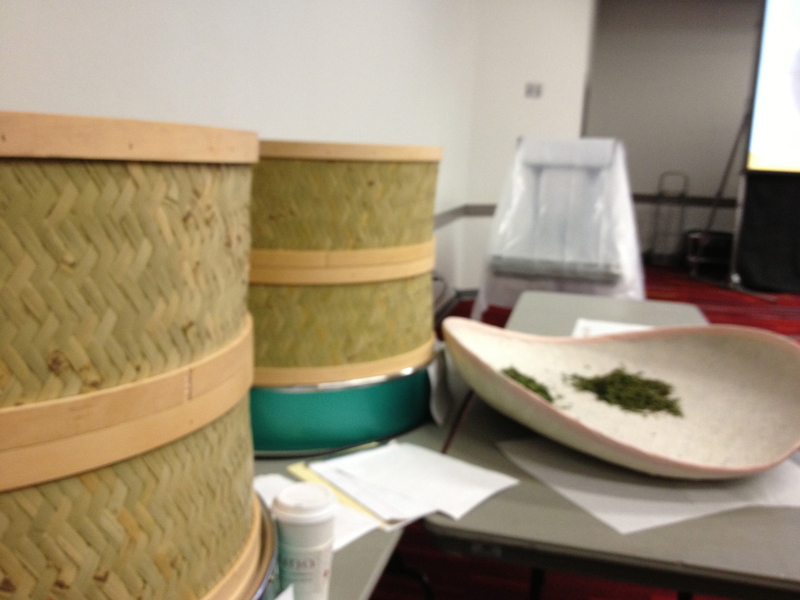 For the first time, I tasted Genmaicha, Schizandraberry, Lapsang Souchong, Oolong, and Pu’erh. I now drink an average of about 3 to 4 cups of tea every day, yet I still just can’t get enough of it. Though it may seem dramatic to say this, I swear it’s true: K’tizo Tea changed my life in a drastic way, and I’m pretty confident there’s no going back. By the way, random side note: I used lemongrass from K’tizo in my chicken lentil soup last week, and it tasted great! It is versatile. Make it savory or sweet…it won’t disappoint either way! In almost all cases when cooking tea will keep all the essential vitamins, antioxidants, and HDL’s (good cholesterols) that make tea so good for you. So if you’ve heard that tea is good for you but you don’t love it on it’s own, throw it in a few recipes and see what you think. We think you’ll be surprised by how much you’ll like it! Marinate meats or meat substitutes with steeped tea. Sauté steeped tea leaves with vegetables and/or meats. Infuse tea leaves into simple syrup for an easy shot of tea flavor in sweets and cocktails. Let your imagination soar as you try some of these ideas and discover your own! And stay up-to-date with our blog…we’ll be posting new tea recipes frequently!